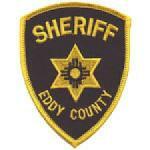 Crime Stoppers of Eddy County is seeking the public’s assistance in solving a commercial burglary that occurred last week in Artesia. 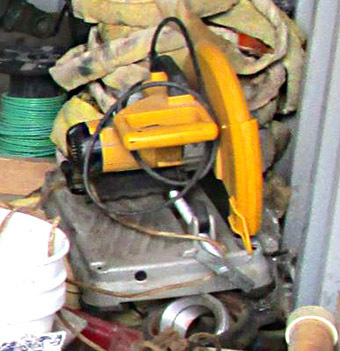 Between June 6 and June 12, an unknown person(s) entered the yard of AFS Oilfield Services, 406 W. Mill Road, and – over the course of three burglaries – removed a Taotao 50cc green ATV, a yellow chop saw, and various large, metal fittings. Several vehicles were also damaged. 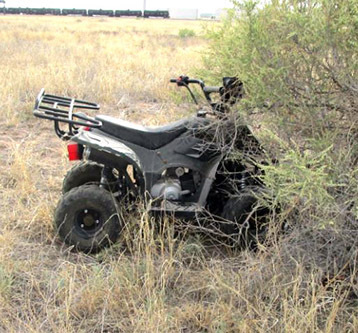 Anyone with information as to this incident or the suspects responsible is asked to contact Crime Stoppers at 575-887-1888 or, toll-free, 1-844-786-7227; via eddycountycrimestoppers.com; or with the mobile app P3 Tips (a reward has been issued for the tip ending in 58).